* The newest addition to the overwhelmingly popular Learn to Read series of emergent readers is here. 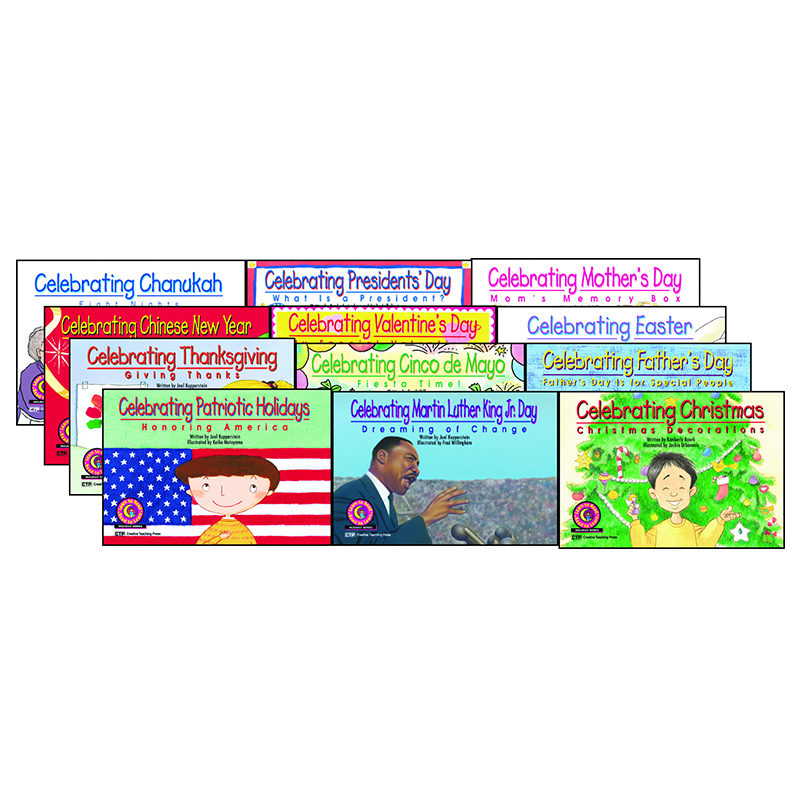 * The Holiday Series includes twelve 16-page books about children's favorite holidays. * Stories for fun holidays such as Mother's Day, Father's Day, and Valentine's Day entertain while demonstrating the joy of giving and caring. 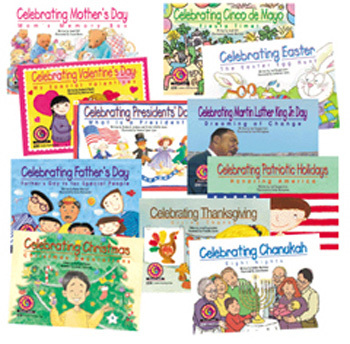 * Stories for cultural holidays such as Cinco de Mayo and Chinese New Year introduce children to festivals around the world. * And, stories for religious holidays go beyond rabbits, reindeer, and gifts to explain to students of all faiths the significance of Easter, Christmas, and Hanukah to those who celebrate them. * Finally, here are fun, colorful stories about holidays written specifically for emergent and early-fluency readers. * Includes 1 each of 12 books, CTP 4522-4533. * Celebrating Presidents' Day: What Is a President. * Celebrating Cinco de Mayo: Fiesta Time. * READING FIRST; Fluency, Vocabulary, Text Comprehension. 9" x 6.25" x 0.75"